I don’t know if I’m the only person who does this but on my days off I can’t just sit and lounge around, I need to do anything and everything! So, since I haven’t had much time to prepare for a blog post, I thought I would tell you guys what I have done instead of a blog post, in the form of a blog post. Win-win. The number 1 thing on my list was to see some friends as I am always in work nowadays and not everyone is free on a Sunday so I took advantage of it being half-term and met up with two of my friends who are off for this week. We initially planned on carving pumpkins as I have never carved a pumpkin. I was so excited and then Asda let me down because their pumpkins were all awful. FOR GOD’S SAKE ASDA. Instead we decided to make cookies and brownies but I don’t have pictures for them, apologies. I also got my first Costa hot chocolate of 2014 and it was just so good. Like, wow. To do this I just started by melting white chocolate with a tiny bit of butter so that it didn’t set too quickly (and it looks super glossy). I just popped it in the microwave for 30 seconds at a time, stirring it in between. When it was fully melted I separated it into two bowls and put blue food colouring in one and green food colouring in the other. Then I put some cling-film onto a tray and poured the chocolate on it, in a sort of rectangular shape and attempted to marble it using a chopstick. Much chef. 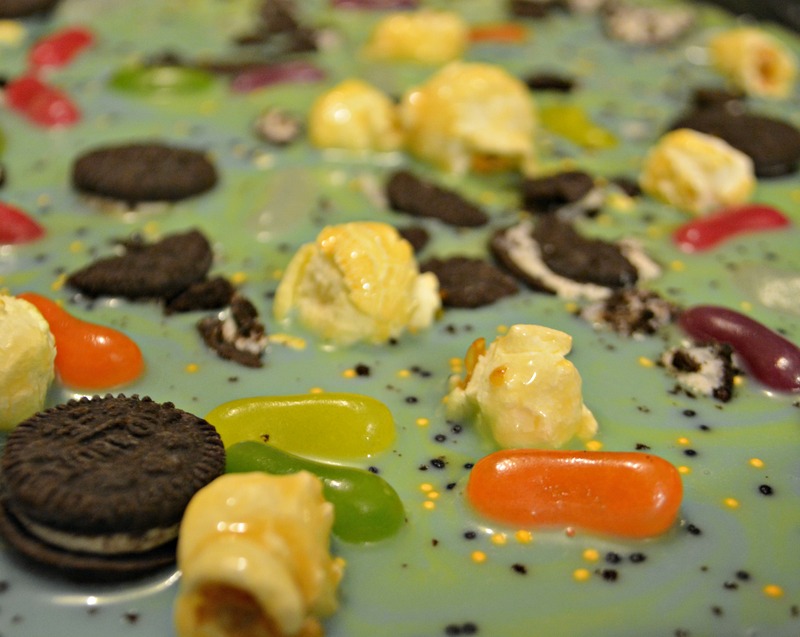 Then I just sprinkled on some Halloween ‘hundreds & thousands’ and scattered some jelly beans, salted caramel popcorn and some mini oreos (some whole, some crushed) over the top. Then I chucked it in the fridge and I was done! 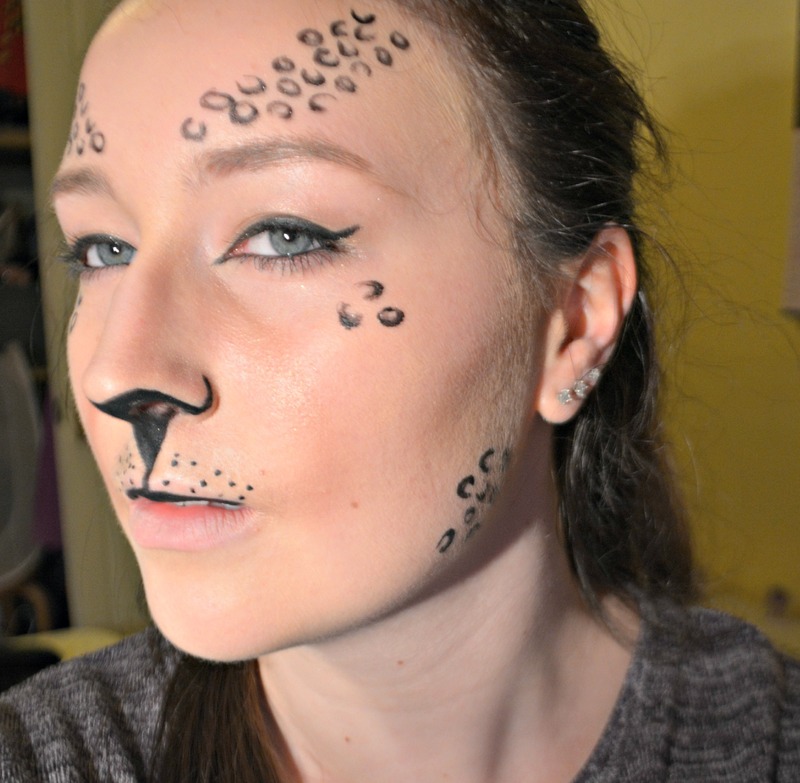 Super easy and it looks so cool! After doing all the dishes and whatnot, my missguided order came. I almost saved up last weeks pay but I found so many cheap monochrome items that I just couldn’t resist! I just have to wear black and white for work so this was perfect! I got four tops, a dress and a pair of swanky leggings for just over £60 and got free next day delivery! All of my items fit me perfectly so I couldn’t be happier. And no lie, I did this in 15 MINUTES. I will obviously spend a lot longer doing it at the weekend to make sure it is absolutely perfect but 15 minutes is unreal. 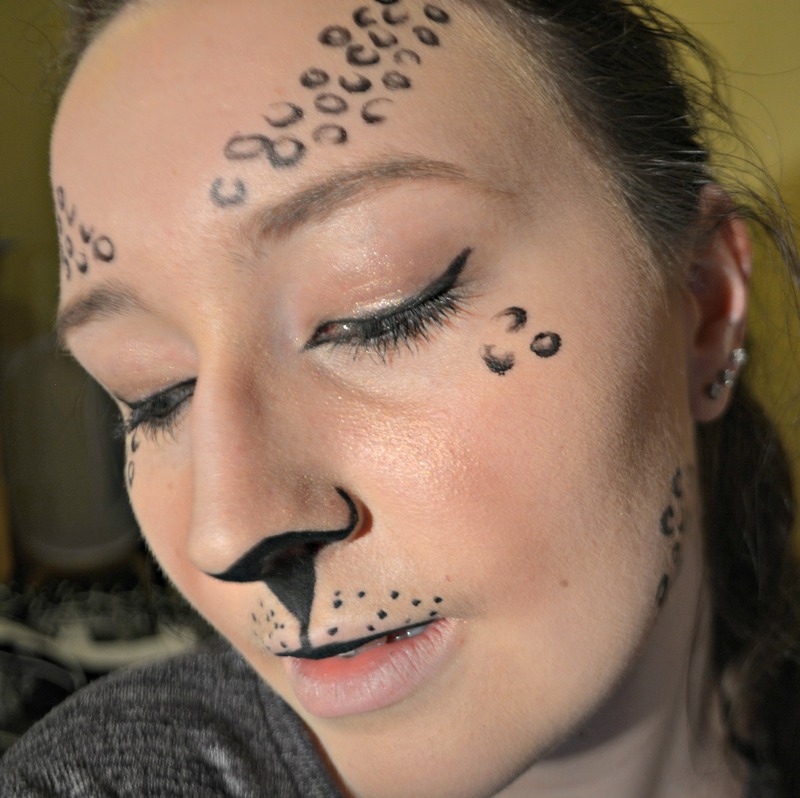 If you don’t wanna be a super boring “whiskers and triangle nose” cat, be a leopard, you can still wear all black and it looks like you spent a long time getting ready. I also am just about to get rid off my moustache, don’t worry. Luckily my Mum found a good Pumpkin in Sainsbury’s so I’m going to carve that and then have a shower and watch Celebrity Juice before bed time! I hope you have all had a wonderful day, have fun on Halloween and please be safe! Don’t do anything I wouldn’t do… Good bye for now little buns! → How to: remove acrylics at home! ← Yuzu & Cocoa Review!